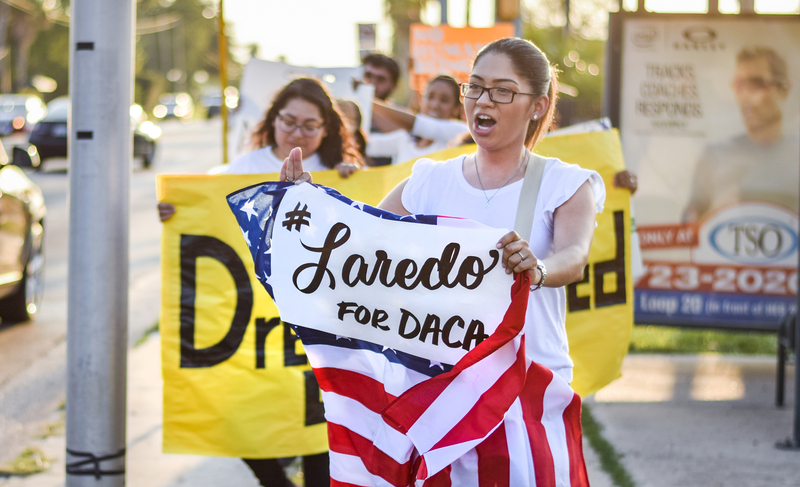 In the heat of Trump’s backlash against DACA, student Dreamers and supporters took to the heated streets of Laredo to make a statement. Deferred Action for Childhood Arrivals (DACA) supporters held the second of two protests Saturday, Sept. 16. This marching protest came only two weeks after President Donald Trump announced his intent to suspend the program. 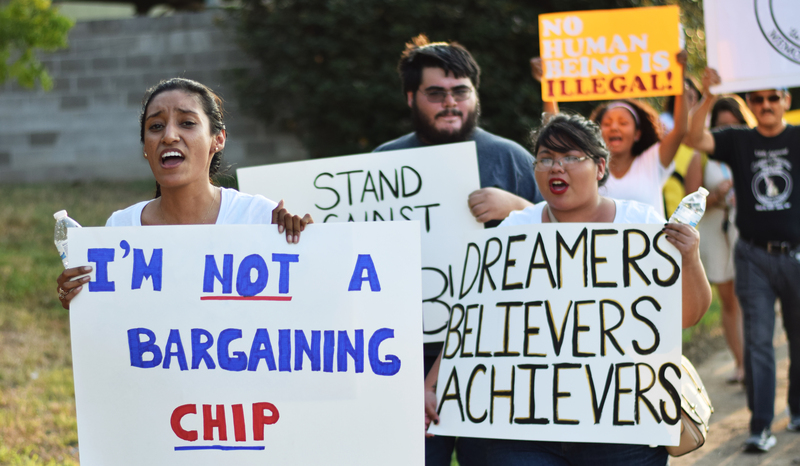 The Trump administration is quick to highlight the six-month period they provided for Congress to reach proper legislative solutions but many Dreamers across the country were forced to put their future on hold. As a result, a group of Laredoans of all ages decided to take part in a march beginning at the H-E-B parking lot on West Del Mar. 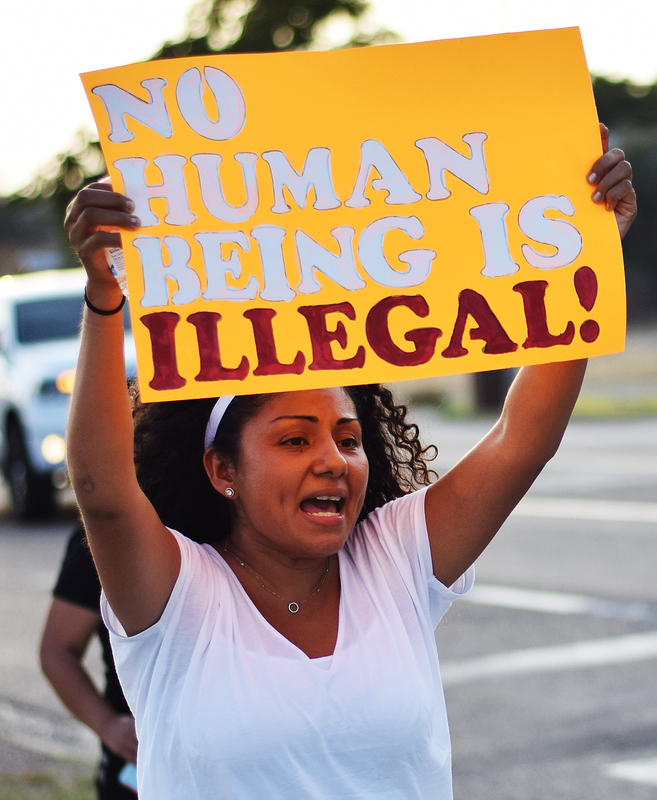 The march, organized by Movimiento Cosecha, was part of a non-violent nationwide movement fighting for the more than 11 million undocumented immigrants across the U.S. These DACA supporters began the march along Del Mar at 6 p.m. to the H-E-B on McPherson. Throughout their journey, many of the motorists on the busy street honked and gave thumbs up in favor of the protesters. 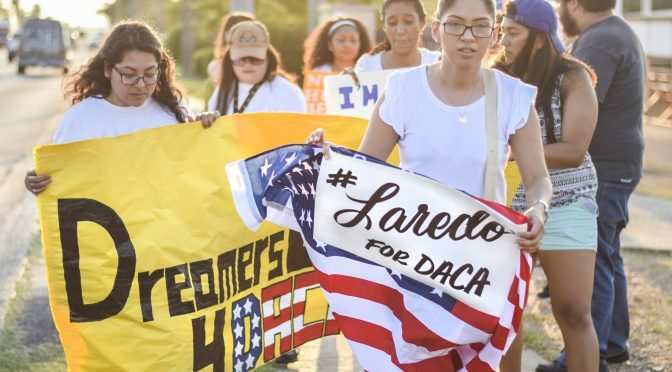 The protest continued until around 8 p.m. with all protesters displaying banners and posters in favor of DACA or against other controversial laws, such as the anti-sanctuary city Texas SB 4. 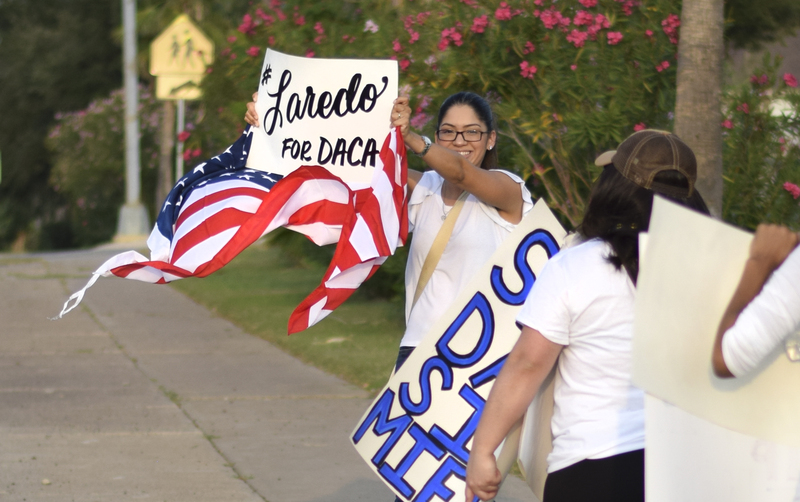 Despite the distance, supporters gathered in front of the McPherson H-E-B for a DACA teach-in session to educate the general public about what the program offers. According to a report from U.S. Citizenship and Immigration Services, Texas is the second state with the largest initial and renewal cases totaling 243,420 approved to date. 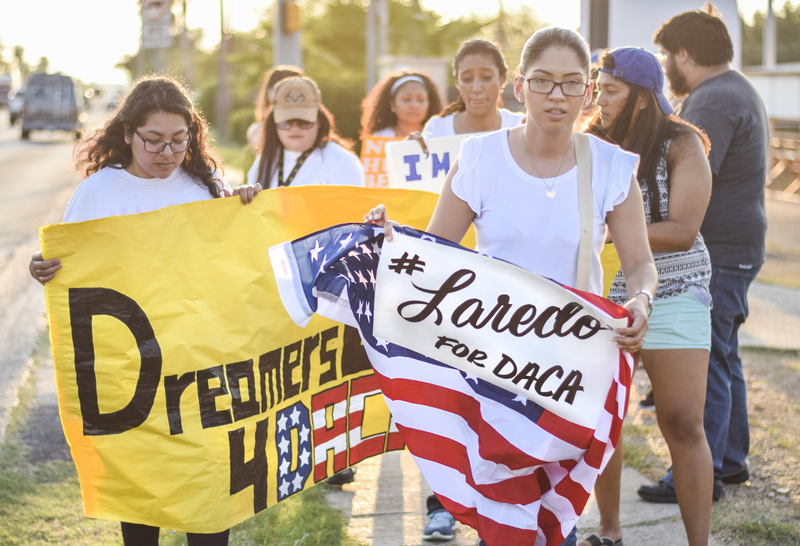 Protests like these are evidence that the Laredo DACA community will not remain silent while faced with uncertain futures.